Bengal is a state of rich culture with the population of 200 million people speaking Bengali. People over there love to do business and other activities in Bengali. Whether its verbally, on phone or on papers. The only way they lags is in email communication in Bengali as there was no such email server that allows them to have email address in their Bengali language and allows them to communicate in their own language. Keeping those majority of people in mind XgenPlus is providing IDN email support that allows people to have their email communication in the Bengali language. 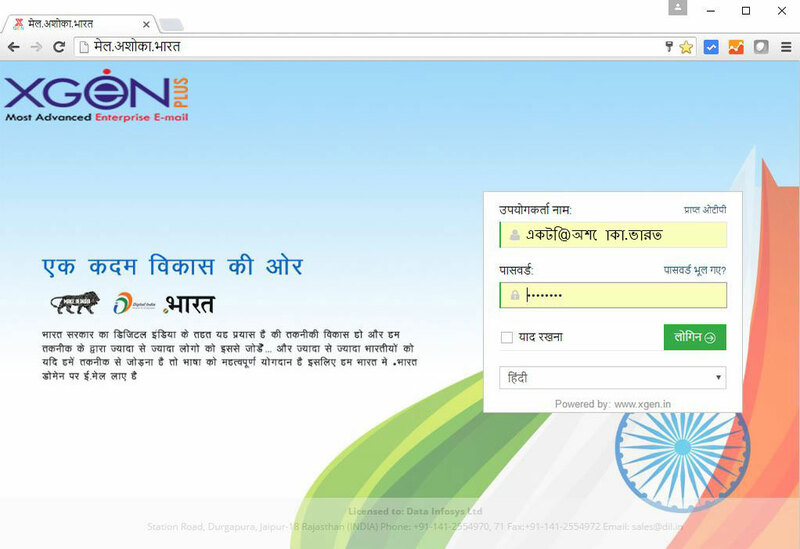 Now user can send and receive emails in their Bengali language. If suppose the user is having an email domain mail.data.in but he wants his domain name in his native language Bengali . Through Xgenplus IDN compatible email hosting services user can have their email address as মেল.উপাত্ত.এই .